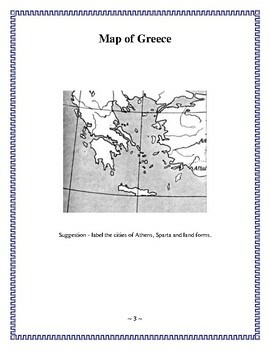 The book is laid out easily. They will be able to work on one or two sections per day. They should be writing notes on each area studied. 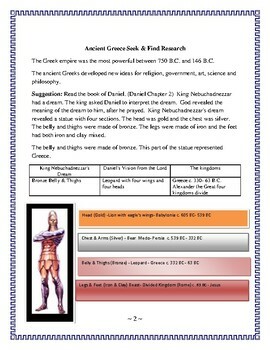 At the end of the study they should have a complete unit book explaining about each of the topics and they will have made a complete unit study. 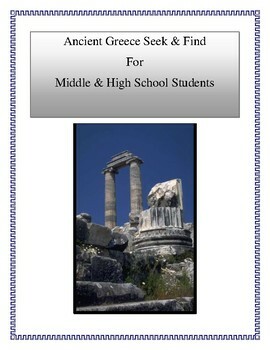 They are encouraged to add clipart or draw pictures to go along with each of the topic areas. 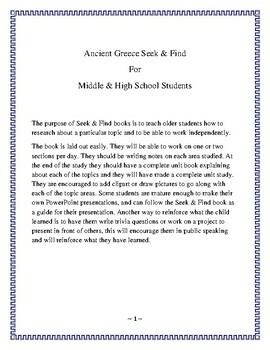 Some students are mature enough to make their own PowerPoint presentations, and can follow the Seek & Find book as a guide for their presentation. Another way to reinforce what the child learned is to have them write trivia questions or work on a project to present in front of others, this will encourage them in public speaking and will reinforce what they have learned.